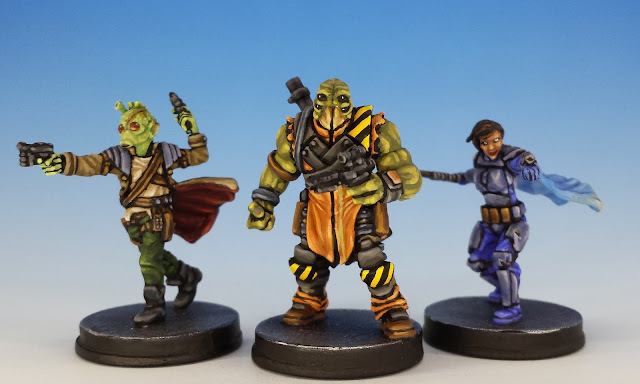 Coming at you are Vinto Hreeda, Shyla Varad and Onar Koma -- painted versions of the three main characters from Jabba's Realm, the latest expansion for Star Wars Imperial Assault (If you missed it, check out my Rancor from the same set). I am developing a love/hate relationship with Imperial Assault. 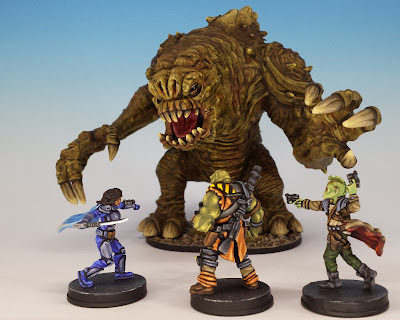 My frustration comes from the fact that Fantasy Flight Games continues to release miniatures at a glacial pace. We are living in an age teeming with interesting characters to be rendered in miniature: Rey, Kylo Ren, Sabine Wren to name just three. But since coming out in 2014, Imperial Assault hasn't even covered all the basics from the original trilogy, let alone miniatures from The Force Awakens. Admiral Akbar? Nope. The Emperor? Nope. Grand Moff Tarkin? Nope. This is because Imperial Assault is not merely a range of miniatures -- it's a highly curated competitive game system. This means that every figure is accompanied by an elabourate set of cards that must build upon (without unbalancing) all the previous releases. If you want a glimpse into the hundreds of hours of play-testing and rules-lawyering that goes into each expansion, listen to the excellent interview with game designers Paul Winchester and Todd Michlitsch on boardwars.eu. 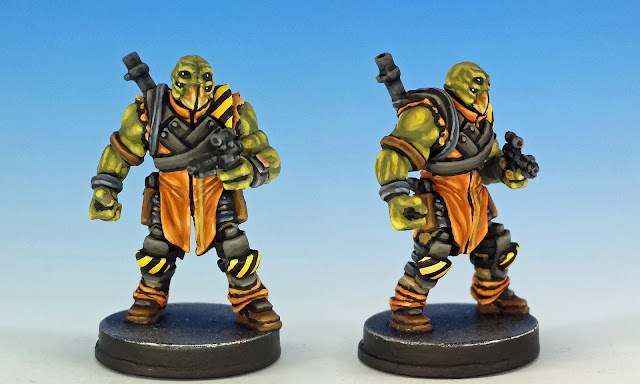 While I appreciate this painstaking work, I'm a painter foremost and I wish I had a range of miniatures as rich as the Star Wars universe itself. 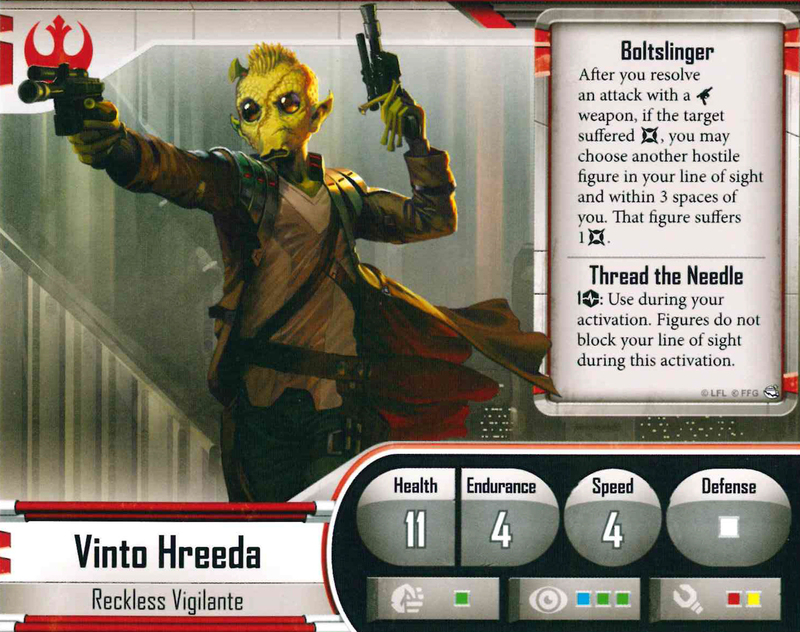 First is Vinto Hreeda, a Rodian mercenary. Like all the best miniatures, Vinto tells a story through his appearance alone. 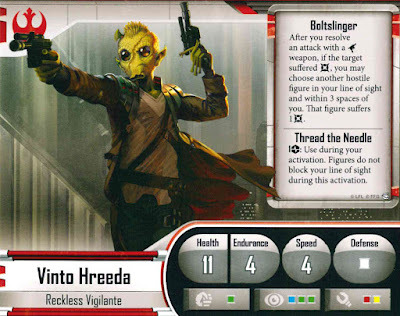 Ever since Greedo, all Rodians have a whiff of the underdog to them, and Vinto is no exception. The left side of his head bears a vicious scar, and the same wound seems to have severed part of his ear and one of his antennae. Combined with his Wild West-like coat and pose, this gives Vinto a dusty, hard-bitten character. As his enemies say of him during the campaign, "Same old Vinto: too weak to succeed, too cowardly to die." 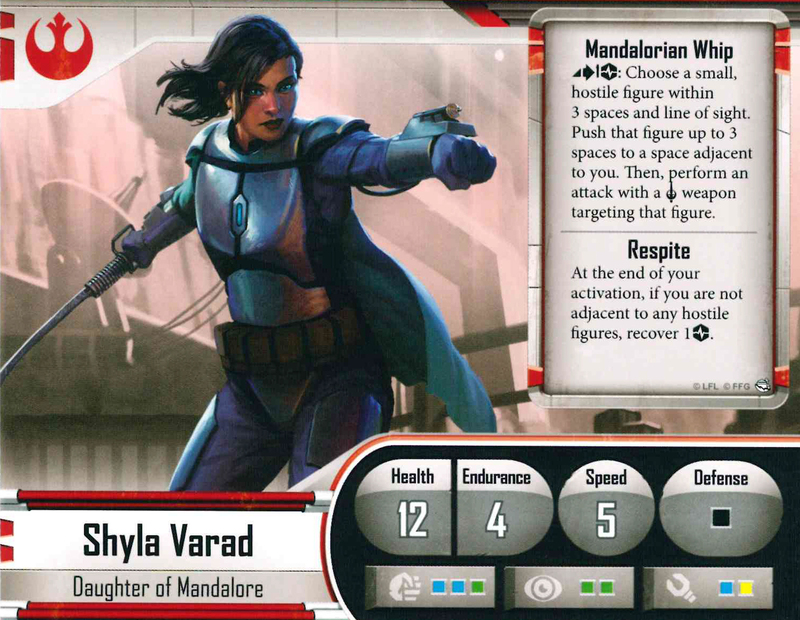 Shyla Varad is a young bounty hunter from Mandalore. Like Boba Fett, she wields a wrist-mounted whip-cord thrower and wears traditional Mandalorian battle armour. As she develops as a character, we learn that her mother was a member of the violent splinter group known as the Death Watch, and that Shyla aspires to her birthright as a member in this faction. That's a nice tie in with the animated series, The Clone Wars. But it also makes Shyla seem like a hero striving to be a villain. Last but not least is the hulking form of Onar Koma. He's an bodyguard from a subspecies of the Aqualish race named the Ualaq. Unlike the standard Aqualish, the Ualaq have four eyes and light skin. Combined with the mandibles, the four eyes give these aliens a spider-like visage that is almost disorienting (it reminds me of an Umber Hulk from AD&D). 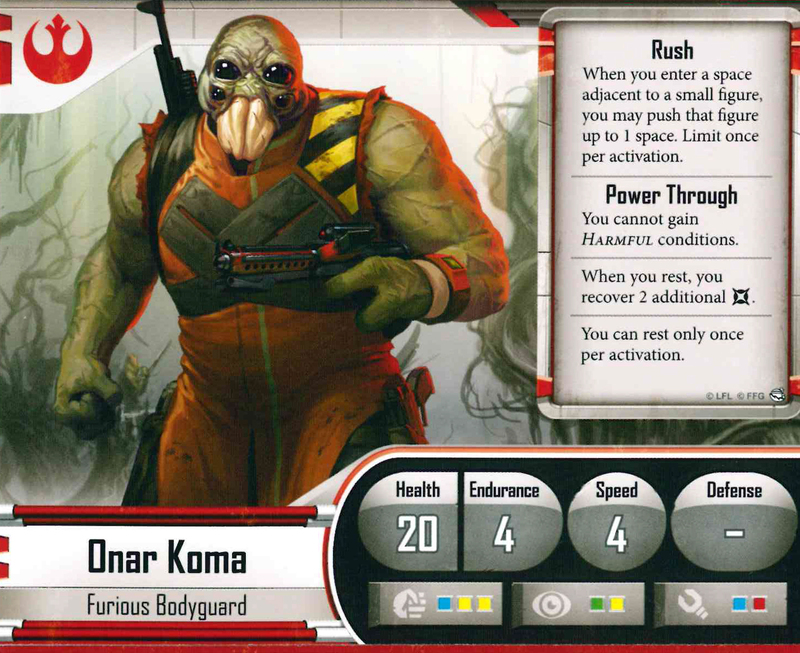 If I seem well briefed on Aqualish biology, that's because back in 2015 I anticipated Mr. Koma by creating some Ualaq conversions for Imperial Assault. 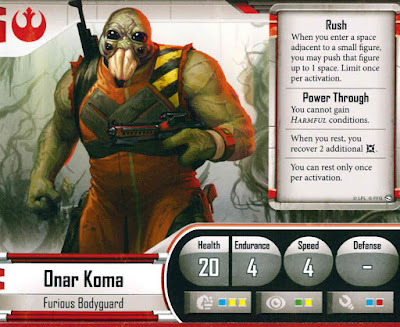 In the Jabba's Realm campaign, we learn that Onar Koma once worked for the crime syndicate called the Black Sun, which is another nice tie in with The Clone Wars and the larger Star Wars universe. Wow - more amazing IA painting. I agree with you about the glacial pace - ugh - its very frustrating! 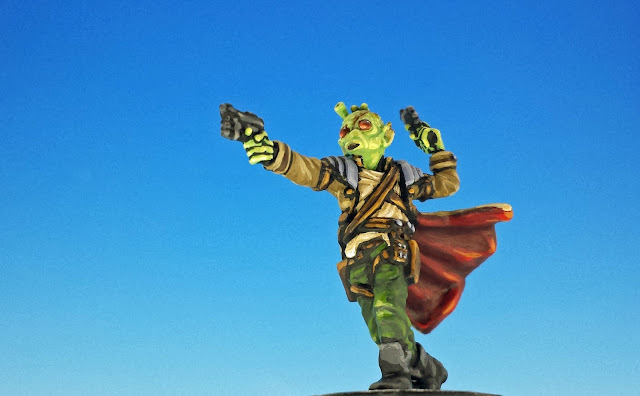 At least now we have one of the heroes from SW Rebels (even though it won't be released for another 6 months). 1. Great painting as always. I love that big guy with the four eyes, he's fantastic! 2. Releasing a great game and then starving players of miniatures has happened a number of times (*cough "Gear Krieg" cough "7th Seas" cough*). I always chalk it up to "sculpts are expensive/time consuming" and in this case "licensed art has to go through an approval bureaucracy". On the upside, if you're willing to risk breaking the game by designing novel characters, a *lot* of other models can be used as Star Wars characters. I've recently seen some nice sculpts from "Space Bunny Arts", a few of which are obviously "SW-like" and a few of which have the general SF flavour. You are quite right that there must be a lot of bureaucracy for every Star Wars miniature. 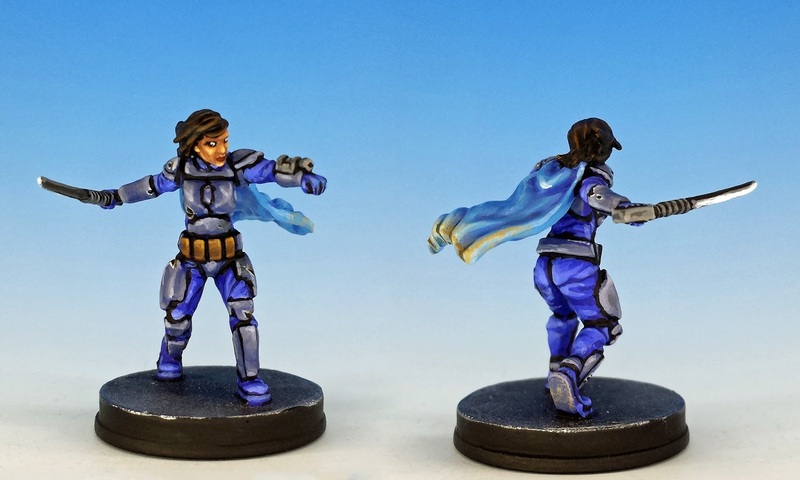 I'm looking at the "credits" section of a recent Imperial Assault figure pack, and there are 27 names (!!) including Figure Sculpting, Sculpting Coordinator, and Lucasfilm Approvals. Hehe, I understand your frustration. I also believe some iconic minis are seriously needed. Regarding your work, I think these are totally outstanding. I love Vinto's pose and your paintjob makes him stand out. Lovely work! 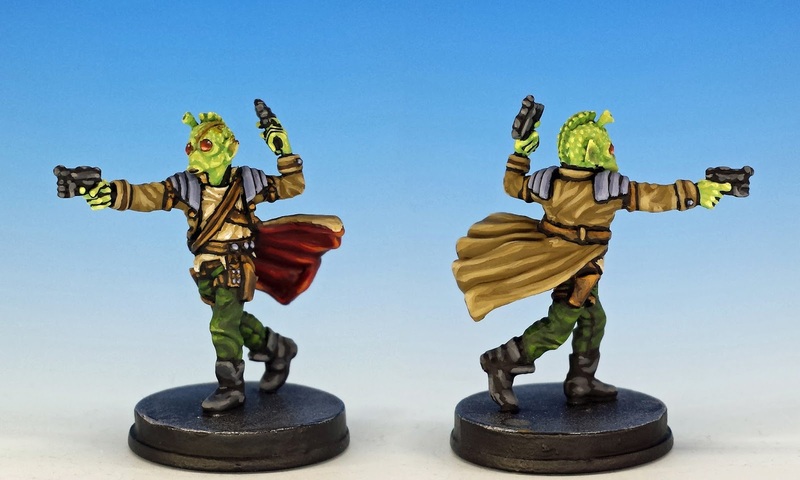 At least FFG has now started to release different versions of the same miniature (for example, we now have 2 Luke Skywalkers). Let's up there are more to come! Another great set of paint jobs. Being the weirdo that I am, I noticed these figures have something under the integral base. What is it? Good eye, Sean! Yes, I glue a metal washer to the bottom of every IA miniature. I find it adds a lot of stability (which is my main reason for doing it), and also lets me use magnets for easier miniature storage. Love these, bright poping colours and bags of character. Thanks Erny! I just wish they weren't made out of the bad, bendy plastic that Fantasy Flight Games insists on using. Otherwise, they are such good characters. Have you had a hard time clearing mold lines on Imperial Assault minis? Have heard negative reports on the soft plastic used. Yes! The mold lines are often brutal. And because the minis are this soft plastic, its hard to sand the seams down -- instead, I find myself awkwardly gouging the plastic. I would like to feature some of your work on Pawnsperspective.com. How can we get in touch? Thanks for reaching out! I just sent an email to rkalajian at pawnsperspective.com. Let me know if it went amiss. Talk to you soon. Do you have a link/tutorial on how you paint like this? I have been lurking on your blog drooling over your painting style for a couple years now and I think I've mustered enough courage to go get some brushes... Have you ever made a video on your steps to achieve that awesome color layering?